We'd heard rumors that Kim Kardashian wouldn't do another televised wedding: This time her love is real, see, and not a spectacle. But as it turns out, Her nuptials to Kanye West will indeed be filmed for E! As if the network or the family would have it any other way. Get ready for a lavish "fairytale" wedding set in France, and taking place some time in June. (Kim says of Paris: "We love it there. It's our second home. We spend so much time there, we have an apartment there. We really love it.") Unfortunately, despite all of our hopin' and wishin', the couple will not wed at Versailles. Sure, Nicolas Sarkozy and Carla Bruni got married there, but, as the copy at the Guardian reads: "According to some reports purporting to quote sources close to the pair, they had indeed set their hearts on Versailles, but were rebuffed by officials who felt them not to be an ideal fit." Insanity. When it comes to over-the-top opulence bordering on tacky, Versailles and Kimye are a match made in heaven! Kim and Kanye have narrowed down the wedding location, which is being kept a secret at this point. It will be on the outskirts of Paris. Look, if it ain't baroque, then fix it! There are quite a few Kimye-ish options outside of Paris. Château Vaux Le Vicomte is a sumptuous Louis XIV-style extravaganza, with stunning formal gardens; both The Man In The Iron Mask and Sofia Coppola's Marie Antoinette were shot there. Château de Rambouillet is an ivy-covered castle once owned by Louis XVI that features canals and swans and a dairy with little bébé goats! Then there's Château de Fontainbleu, "the only royal and imperial château to have been continuously inhabited for seven centuries." Louis XIII was born there, Louis XV got married there, Napoleon hung out there. There's also the Domaine de Chantilly, which has a breathtaking library, and Louis the XV's Château de Compiègne, which has elaborate rose gardens and a mini car museum. Surely Kim and Kanye will be able to pick something befitting their ostentatious tastes. Especially since most of the costs will be covered by the network. 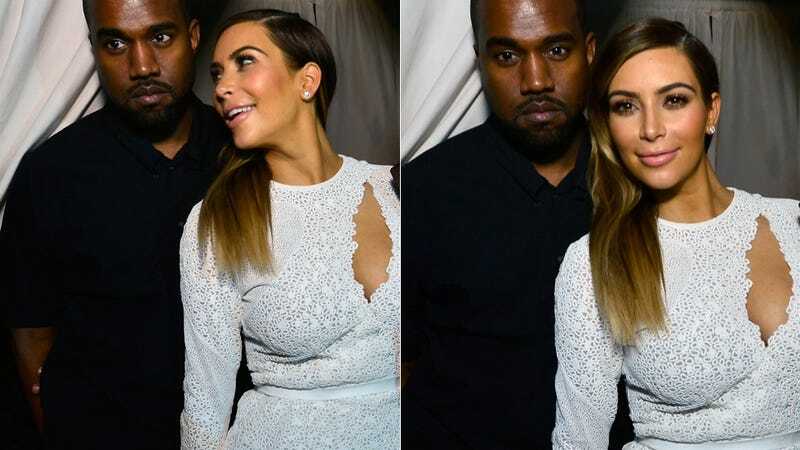 The insider says: "Kim persuaded Kanye to let the cameras roll because E! will pick up most of the cost of the wedding and it's a lot easier for a network to deal with logistics of a foreign wedding than if it were just the two of them planning it." HILARIOUS. As if anything Kim and Kanye do EVER involves just the two of them.